Seiko Epson Corporation (TSE: 6724, “Epson”) was listed among the 2016 Top 100 Global Innovators announced by Philadelphia-based Clarivate Analytics, formerly the Intellectual Property & Science business of Thomson Reuters. Epson has been named to the list every year since its inception in 2011. Hirofumi Hino from Clarivate Analytics’ office in Japan presented Toshiya Takahata, executive officer and general administrative manager of Epson’s Intellectual Property Division, with a trophy to commemorate the occasion. The Top 100 Global Innovators methodology analyzes patents across four main criteria (volume, success, globalization, and influence). Epson has been selected for the list largely in recognition of its success rate, a metric that indicates the ratio of patents granted to the number of applications filed. Epson files about 4,000 patent applications a year. It holds and maintains about 50,000 patents globally and is working with patent agencies in 20 countries or more at any given time. In the patent rankings for the 2015 fiscal year, Epson ranked 7th in Japan for the number of patents awarded, 16th in the United States, and 15th in China (among foreign companies). Epson possesses world-class IP capabilities and is an industry leader in patent quantity and quality in product categories such as inkjet printers and projectors. 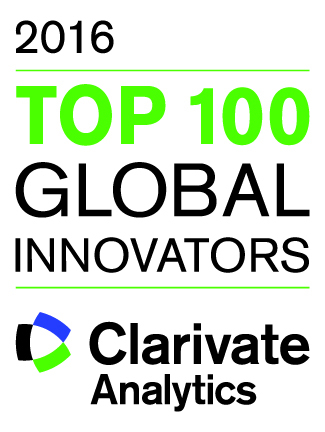 Clarivate Analytics analyzes intellectual property and patent trends based on proprietary data to determine the world’s most innovative corporations and institutions. The analysis covers four main criteria: volume, success, globalization, and influence. Begun in 2011, the Top 100 Global Innovators report is now in its sixth year.